Mormon scripture states emphatically: “Joseph Smith, the Prophet and Seer of the Lord, has done more, save Jesus only, for the salvation of men in this world, than any other man that ever lived in it” (Doctrine and Covenants 135:3). 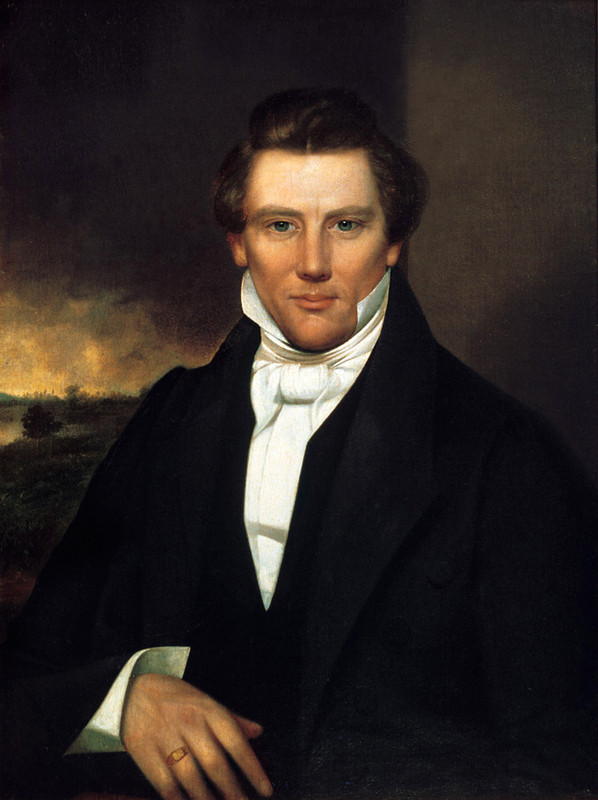 As a matter of fact, LDS Prophet Brigham Young blasphemously declared: “I know that Joseph Smith is a Prophet of God, that this is the Gospel of salvation, and if you do not believe it you will be damned, every one of you” (March 29, 1857, Journal of Discourses 4:298). Jesus says in John 14:6 (NIV), “I am the way and the truth and the life. No one comes to the Father except through me.” If no one comes to our Heavenly Father but through Jesus, then why does Brigham Young say that no one can gain salvation unless it’s through Joseph Smith’s name? Brigham Young lied, and he is not a true prophet of God. The pedestal that Joseph Smith is placed on is faulty. Joseph Smith was not a prophet of God. He was a false prophet. He boasted of himself quite often. Charlotte Haven once said of Joseph Smith: “He talked incessantly about himself, what he had done and could do more than other mortals, and remarked that he was a ‘giant, physically and mentally.’ In fact, he seemed to forget that he was a man” (“A Girl’s Letters From Nauvoo,” Overland Monthly (San Francisco), v. 16 (Dec. 1890), pp. 616-638). Joseph Smith even said this about himself: “I have more to boast of than ever any man had. I am the only man that has ever been able to keep a whole church together since the days of Adam. A large majority of the whole have stood by me. Neither Paul, John, Peter, nor Jesus ever did it. I boast that no man ever did such a work as I” (May 26, 1844, History of the Church 6:408-409). It was this boasting that got him killed the very next month, in June of 1844. I believe that as a result of Joseph’s cup of iniquity running over, God took out Joseph Smith before he could do any more damage. As Psalm 55:23 (NIV) says, “But you, God, will bring down the wicked into the pit of decay; the bloodthirsty and deceitful will not live out half their days. But as for me, I trust in you.” Joseph Smith died at the age of 38, and only lived out half his days because of his lies, deceit, lust, power, greed, and prideful boasting. Latter-day Saints, the good news that comes out of this is that when you realize that Joseph Smith is not a true prophet, Jesus is. He is more than just a prophet for you in these latter days–He is the King of Kings, Lord of Lords. He can be your Savior, and your trusted friend. Flee from Joseph Smith, and run into Jesus’s arms. He will carry you through whatever storm you’re in, and He understands you. He alone is the road to salvation, and no other man’s name is in the way.